Mahler, young musician aged twenty in the 1880s, started working as a conductor in Bad Hall, then Landestheater in Laibach. During those appointments, he met Johanna Richter, a professional soprano and an unsatisfying love affair between the two of them may have taken place. We do not know with certainty what really happened, but we do know Mahler suffered and used his pain as inspiration for his song cycle, Lieder eines Fahrenden Gesellen. He probably started working on the cycle in 1881, however it underwent many revisions and was only finished in 1886. As often, Mahler wrote the music and poems of the four lieder: Wenn mein Schatz Hochzeit macht (I), Ging heut Morgen übers Feld (II), Ich hab’ ein glühend Messer (III) and the fourth and final one: Die zwei blauen Augen von meinem Schatz. Ging heut morgen übers Feld is the second lied of Mahler’s song cycle, Lieder eines Fahrenden Gesellen. As the protagonist decides to go for a walk, the music starts stirring and lively. At the piano, the staccato octaves seem to propel the vocal line forward likewise the feet of the protagonist pacing through the countryside. Mahler seems to have found his inspiration in Austrian folk music and some of the vocalizes at the voice part bear a resemblance to yodeling. As the song reaches its end the narrator remembers his pain, the tempo slows down to something more self-reflective while the accompaniment swifts to legato cords. 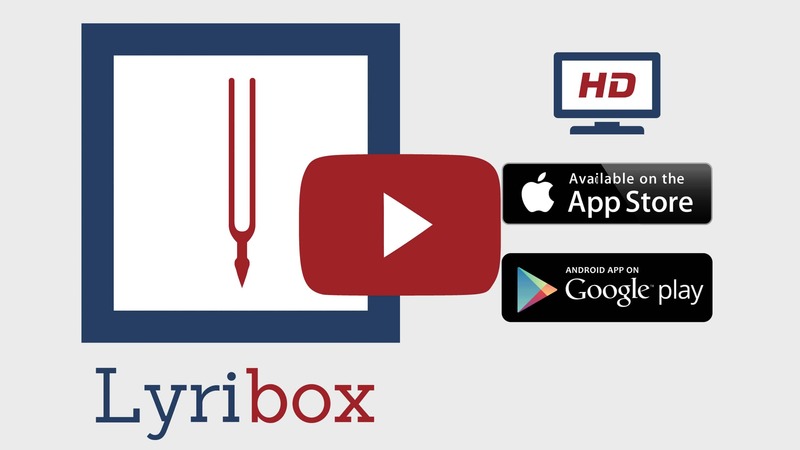 Lyribox, the popular online platform for classical sheet music, accompaniment and ipa translations brings the best by G. Mahler by offering the sheet music, accompaniments and translations to the fans gathered around the site, for the best price that could be found online. The sheet music, accompaniments and translations provided by Lyribox for are of highest quality and accuracy. Ging heut morgen übers Feld originated was composed by Gustav Mahler . The original lyrics are in German. The melodious note arrangement of Ging heut morgen übers Feld ranges from pianissimo (very soft) mellow notes to forte (loud) notes carrying the player and the audience through an array of vivid emotions. The sweet soft beginning of the music piece gradually increases and decreases the loudness in smooth transitions. This music piece is decorated with phrases, slurs and an arpeggio. A perfect composition for piano players to try with an intermediate knowledge in music. Students can make use of this sweet music piece to improve their knowledge in music expressions, ornaments and sight-reading, while all music lovers could enjoy this brilliant extract whole-heartedly. Ging heut morgen übers Feld sheet music produced by Lyribox is clear, precise and is transcribed in English by Lyribox. By purchasing Ging heut morgen übers Feld sheet music from us, you can simply sing along as you play this masterpiece on your piano. Unlike many sheet music sold online with all black notations, sheet music we offer you is marked using three distinct colors. While piano notation is illustrated in black, the music expressions and the lyrics are given in red and blue respectively. Get Ging heut morgen übers Feld by G. Mahler sheet music from Lyribox today to enjoy and share this wonderful music composition with your friends and family. Ging heut morgen übers Feld piano accompaniment is offered by Lyribox is mellow and smooth. It feeds the poem an underlying pulse, adding a sense of propulsion to it. Meanwhile the vocal line flows in a dreamy leisure manner forcing the audience into a calming and languid mood. The vocal line of Ging heut morgen übers Feld by Lyribox has the potential to provide slight pitch support for the voice’s sometimes unusual intervals, enhancing the fullness of it. This accompaniment is not at all demanding. Using these rich Ging heut morgen übers Feld accompaniments you could create one of the most brilliant performances that is pregnant with layers and layers of expressions. Purchase the Ging heut morgen übers Feld piano accompaniment together with the vocal line accompaniment from Lyribox today!